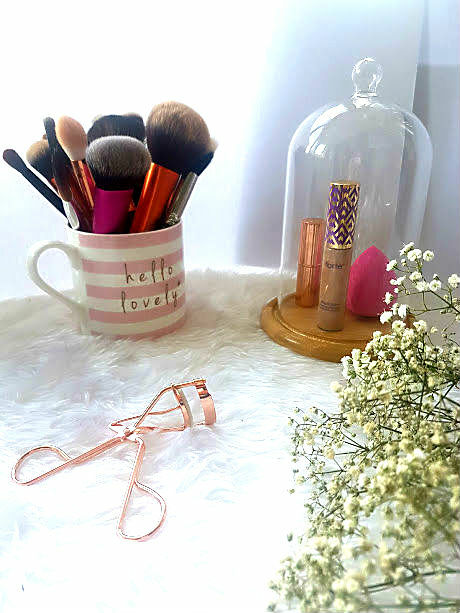 Finding new ways to store my makeup is so much fun, when you live in a student flat and then have home too, it is hard to find ways to keep things tidy and organised. 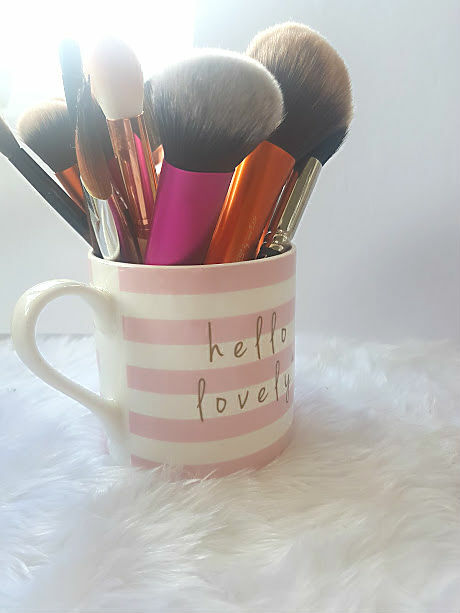 I've found some super easy and inexpensive ways to store makeup and most of them look pretty too! I try my best to keep everything tidy on a daily basis, but find myself still getting things messy - I guess that is just normal, first thing in the morning. I received this gorgeous mug for my birthday as a gift but can't bear to use it for a drink, only photographs and pretty things. It is the perfect height and depth to store all my brushes. Pictured above, are all the brushes that I use regularly, they sit nicely and its so much easier to get to them. Another great one to use is an old jam jar or tin that you have lying around, wash the label off, attach some ribbon and voila you have yourself a pretty way to store more items! Trays that you have lying around the house are also great to use to display perfume bottles or foundation bottles as they give you access straight away. 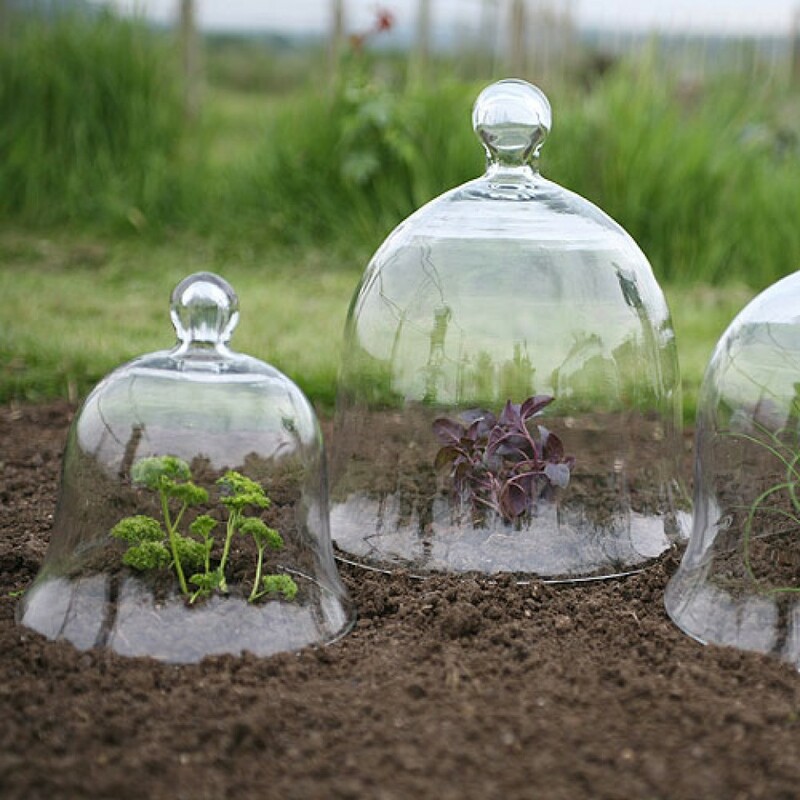 If you want something to look nice on your dressing table or desk then that is also possible for a low price, I have been loving using a bell jar which you can purchase from GBC Group along with other accessories that would look great with it. In this adorable jar, you can place a select few items that you reach for on a daily basis or even ones that you want to preserve. Currently in mine, I have a lipstick and concealer that I am reaching on a daily basis and then a brand new beauty blender that is ready to be used as soon as my current one is completely torn. I am obsessed with how it looks on top of my desk and it is so inexpensive to buy and keep. 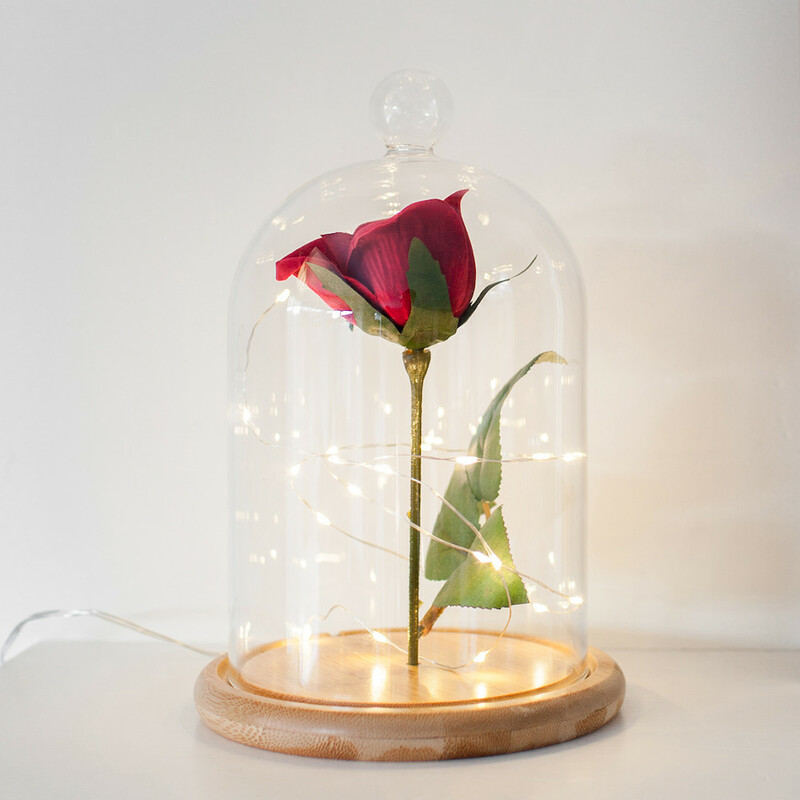 You can also use these jars to store fairy lights, flowers such as the classic beauty and beast rose or even a candle that you don't want to burn, I know that I have a few of them! Talking of candles, when you finish one you can use this for your storage too. I love using these to store cotton buds and pads as well as nail polishes as I can never find places to store these! IKEA is my favourite place to find new storage ideas, from mini baskets to holders - there is literally everything and anything. 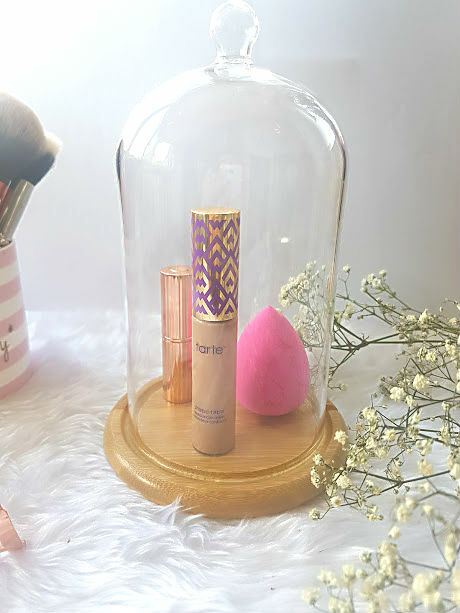 I recommend taking a few products with you to make sure they fit inside, things such as mascara and liquid lipsticks are sometimes longer in length, so they don't always squeeze in. Who said you have to spend ££ on fancy storage, I love my acrylic drawers but these budget ideas are so much better and easier!